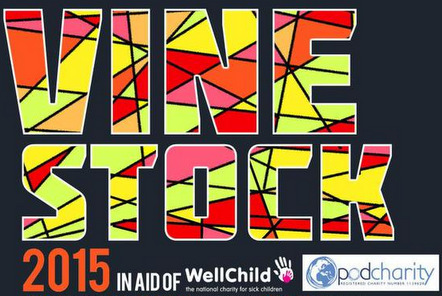 In the summer Pod Charity and WellChild were lucky enough to be the nominated charities supported by local live music event Vinestock. We wanted to let the donors, attendees, organisers and hosts know how the money they helped us to raise has been used. The event raised a total of £2023.15 which was split between Pod Charity and WellChild and so we were able to make four £250 grants to some of the fantastic NGOs and charities that we support around the world. The Children’s Home in Belize used the grant to fund 16 counselling sessions for children who have experienced abuse and/or abandonment. Access to regular counselling has been shown to be highly effective in helping children heal from abusive experiences, cope better with their emotions and to develop trust in adults again. The Children’s Home is run by Liberty Foundation; a UK registered charity which provides care, rehabilitation and education for abused and abandoned children in Belize. They support up to 45 children at any one time, all of whom have been physically/sexually abused and/or abandoned and placed at the Children's Home through Belize Human Services. 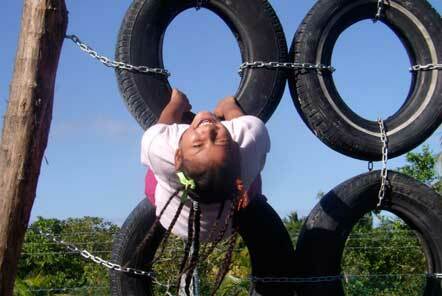 Some of the children that Liberty support have additional disabilities, special needs and/or HIV/AIDS. Normally the home has 25-40 children in its care at any one time and they provide support for children aged from babies through to late teens. Liberty consists of Liberty Children’s Home and Liberty Learning Centre. Liberty Learning Centre provides child-centred schooling to the pre-school age residents at Liberty Children’s Home. The school draws upon the Montessori method of education that focuses on working with each child to develop independence, confidence and a desire to learn. 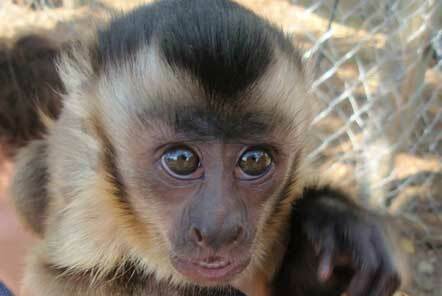 The Monkey Rescue sanctuary used the grant to complete a new enclosure for 3 rescued capuchin monkeys. This allowed them to be rescued from the pet trade and to live a better quality of life and socialise with other capuchins which is important for their wellbeing, enrichment and encouraging natural behaviour. Established in 1996, the sanctuary is the first of its kind in South Africa and currently cares for over 100 primates of varying species including marmosets, tamarins, mona monkeys, squirrel monkeys, macaques, and lemurs. The world renowned sanctuary receives a constant stream of requests to assist in the international rescue of primates and is now in a position to care for primates coming from many places around the world. Many of the primates that arrive at the projects have behavioural problems and the project helps to rehabilitate and provide the additional care these primates require. The sanctuary soon hopes to be able to expand in order to cope with the high demand and with an aim to provide accommodation for apes. The Pod Charity in Nepal used the grant to provide over 100 children with educational resources and school lunches. For many children this is their main meal of the day and this has helped to increase the pupil’s concentration and school attendance. Since 2007, the Pod Volunteer and Charity team in Nepal have been supporting Child Care Centres, Schools, Street Children's Centre and Children Homes by providing volunteers and financial support through the Pod Charity. The schools we work with are government funded and provide free education for children from low income families. Additional lessons from volunteers give the young people an educational advantage and an opportunity to move onto further education or better jobs. Additional support from volunteers means the Street Children’s Centre is able to work towards its goal of reintroducing children with their families. Many children arriving at the centre have never had formal lessons and so volunteers teach skills required for joining school. The Children’s Homes use their limited resources to provide the children with accommodation, food, education and support. The Amazon Conservation project used the grant to support their camera trap project which collects images of animals in their tree canopies to establish baseline levels of the regenerating forest biodiversity. 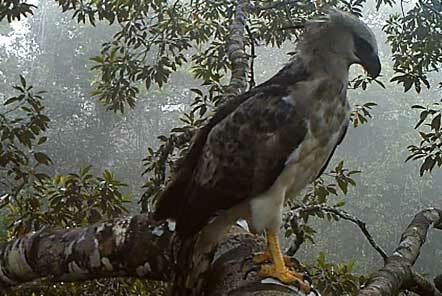 The camera traps have been very successful and have caught a beautiful image of this harpy eagle which can measure a metre in height and has a wing span of up to 2 metres. The camera traps have also caught other animals which are not easy to spot from the rainforest floor including a brown capuchin. The research team at the Amazon Conservation project has identified that deforested land in the region is recovering and increasing in biodiversity quicker than they initially imagined and each year the team have been adding new sightings to the areas species list. This research is vital for influencing government policy on the benefits gained from allowing the forest to re-grow and the project helps to highlight the need for protecting areas which may have been logged, farmed or deforested. Again, we’d like to thank everyone helped us to achieve this, namely the Cheltenham Underground for organising and promoting the event, The Vine for hosting the event and to their staff for working so hard over the weekend, *Calmer for organising the music on the Sunday. Thank you to BBC Gloucestershire, Radio Winchcombe and Behind the Scenes Gloucestershire for helping to promote the event. A massive thank you to all of the acts who played over the weekend, to Jack the sound engineer and Real Burger for providing the food for all of the acts over the weekend. To Typecraft who printed the tickets for us free of charge, to The Swan, The Vine, The Railway and The Frog and Fiddle for letting us sell raffle tickets in their bars and to Festival House, Brightsource and Kingspin Barbers for selling raffle tickets in their premises. To all of companies who donated prizes for the raffle and sweets jar: 2000 Trees, Ellenborough Park Hotel, The Vine, The Swan, The Railway, Stuart Holmes Hairdressers, Venture photography, Journeys Are Made and Wilkinsons. Finally a big thank you to everyone who came to the event and donated to the charities, we hope you enjoyed it as much as we did and we look forward to seeing you again at Vinestock 2016!